I was so happy and at the same time I was wondering how my little one knows all about this? Does she prepare internally for these kind of things? Oh! Am I making you guys to think much about what she has done? hmm... Yeah. She knows how to use potty before I give training. The story goes like this: That particular week, we were alone, a chweet little family, we three of us. Her grannys had gone to native for casting their vote. We three had gone for shopping and we bought a potty to her. 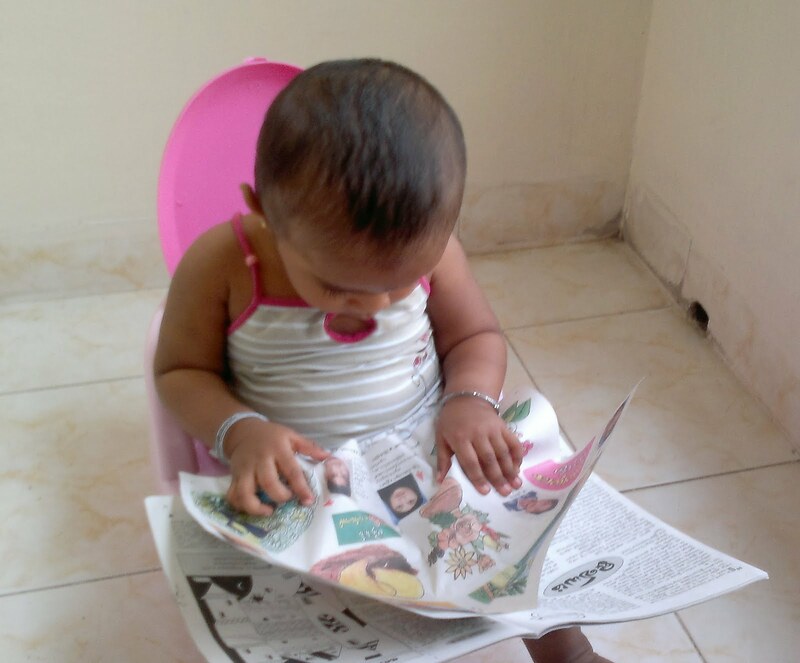 I was planning to buy this since month times, but she was not properly sitting on her own and thought that it would be early for her. My mom started doing the practice in her second month itself and whenever my mom puts baby on her leg, she used to go to chuchu and poopy. My mom was practising this and she generally would not go chuchu when she is in somebody's hand. My mom does this in some interval, like after feeding, after sleep kind of. But once she has grown up, she started hesitating to lay on leg for long time because she wanted to play all time. 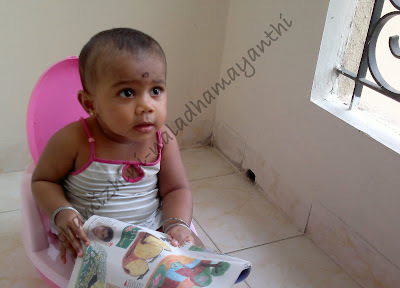 Pls Amma, Don't disturb, Im reading Siruvarmalar. Going back to story, That day morning once she woke up from sleep, i directly took her and put into this potty and she pooped in it. How sweet! I was thinking that she may not sit on this and top of that, she may not use it for pooping. But she did it voluntarily and once she was done , she was trying to get up from that. Oh! 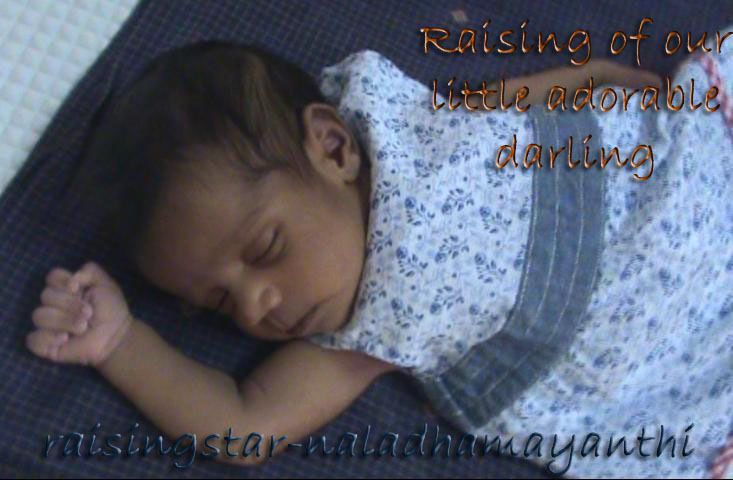 these days little ones are not at all little one in their activities. We were thinking to buy something small and which will have some toys to play on it when they use for pooping. But I heard from my friends and even in the shop one of the customer told me that the small ones and other play models are not good and more over the babies are using to play but not using for the purpose. So we ended up in buying this model which is quite cheap in cost too. Check out the pictures, It looks very cute in pink color.